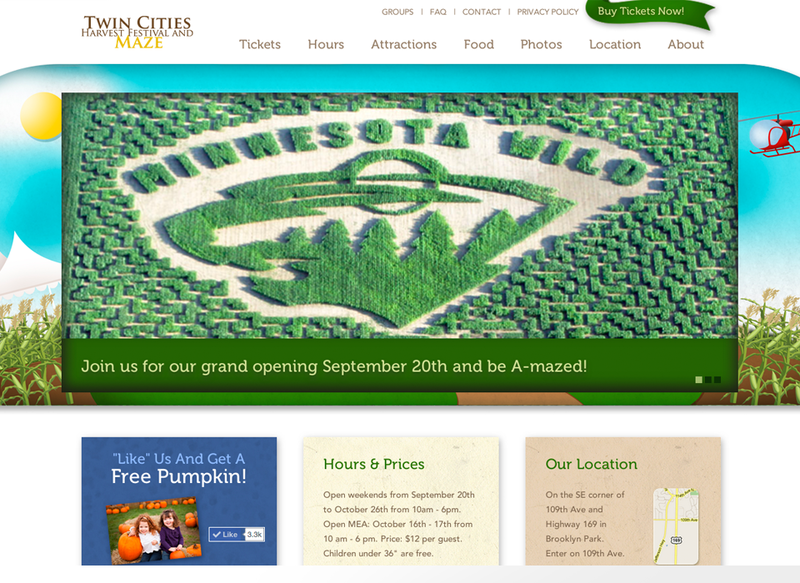 Twin Cities Harvest Festival and Maze is the largest corn maze in Minnesota. 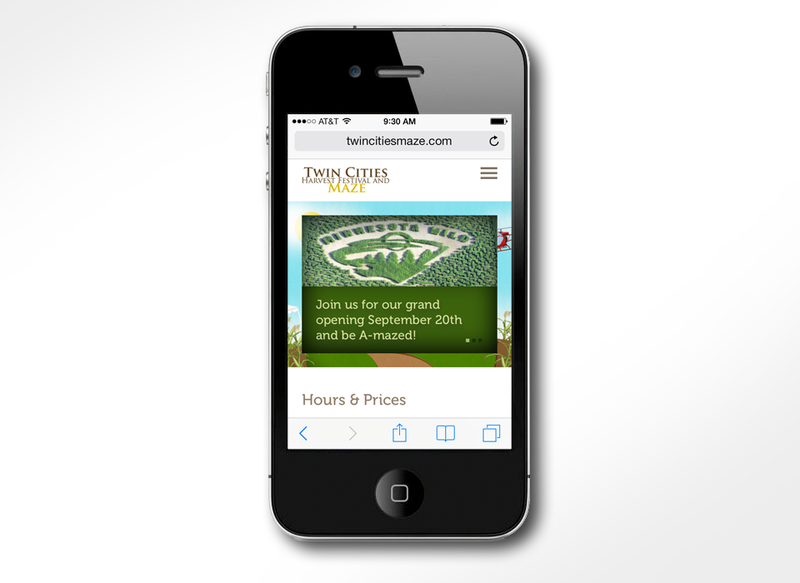 Twin Cities Harvest Festival invited MJ Kretsinger to create a new responsive eCommerce website and supporting ad campaign for the 2014 event. MJ Kretsinger’s creative team produced custom illustrations of the festival (tent, balloons, cornfield, helicopter, etc) and utilized them throughout the website to convey a county festival feel. 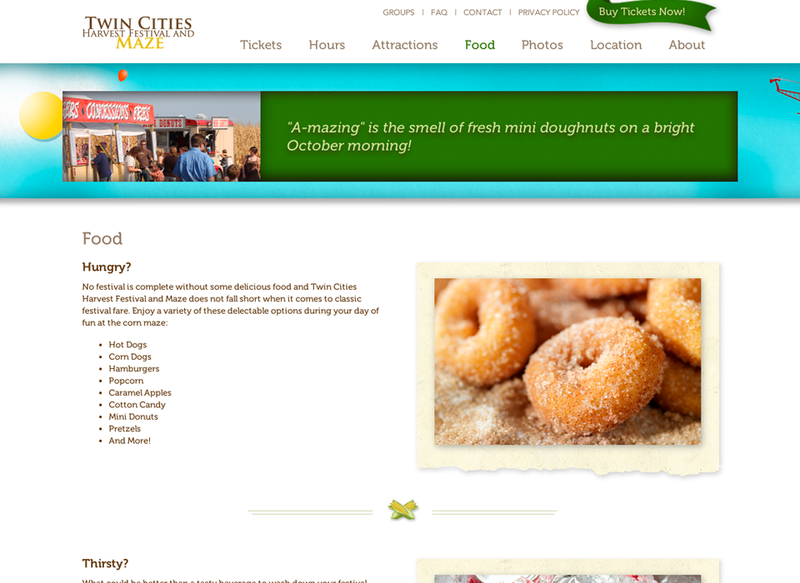 The website has a rotating feature area that promotes and showcases the event. 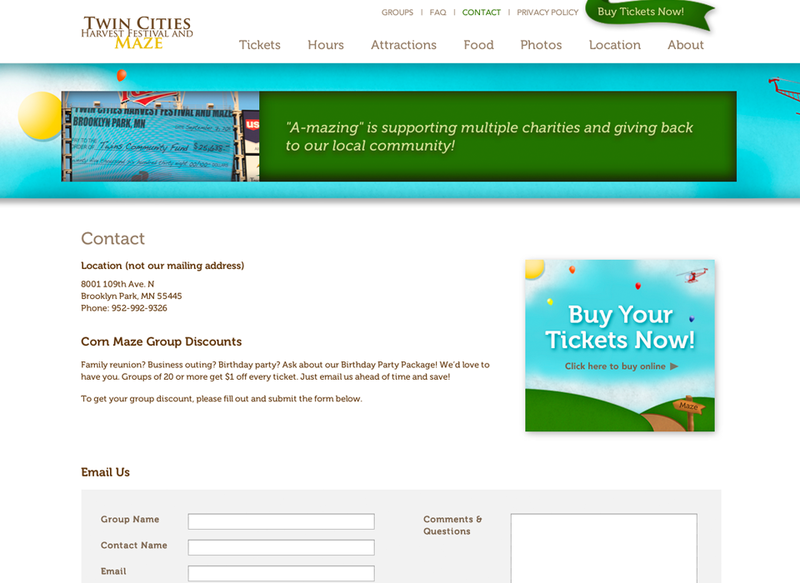 The homepage also feature essential event information, links to purchase tickets, links to specific content on the site and an area promoting their facebook page. 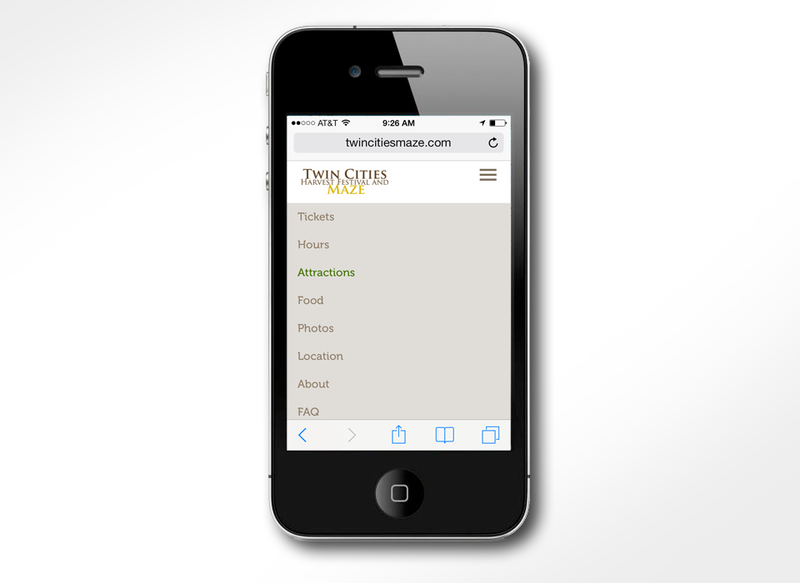 MJ Kretsinger implemented an interactive ticketing system to the website, allowing Twin Cities Harvest Festival to sell tickets online and increase their digital business. 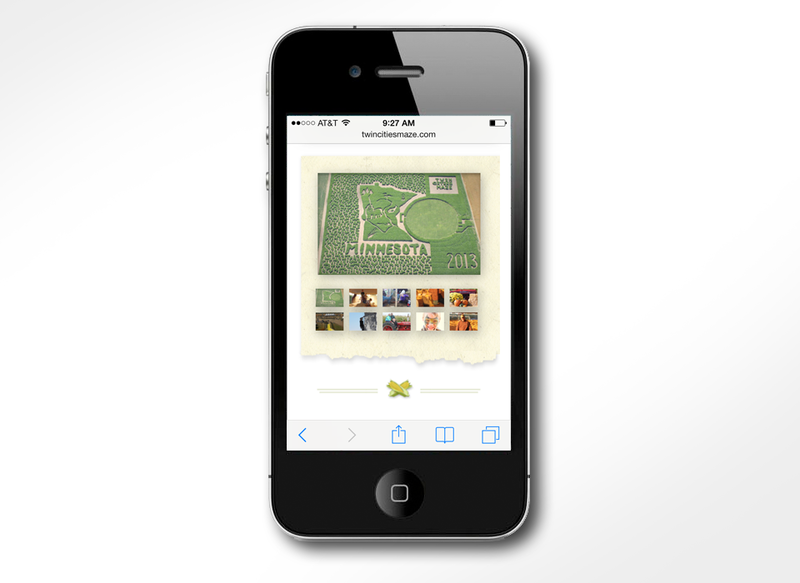 The website is fully responsive and runs smoothly across all devices. The site is built on WordPress content management system (CMS) which enables the client to easily create various banner ads to promote the benefits of the firm and other areas of the site. To support the new website, promote online ticket sales and draw further attention to the event, MJ Kretsinger created an intuitive digital and print media plan. 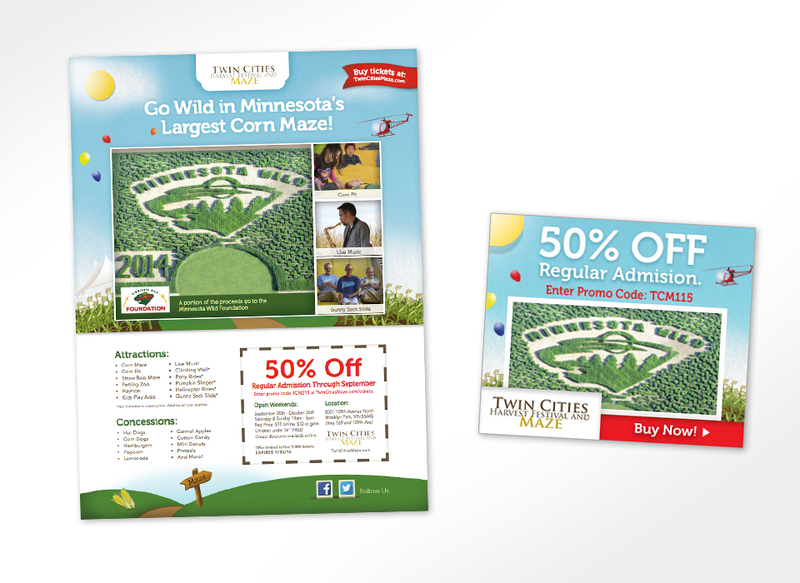 The advertising campaign includes PPC , Digital Display and Print. The campaigns offers discount and incentive promotions that direct users to make a purchase. 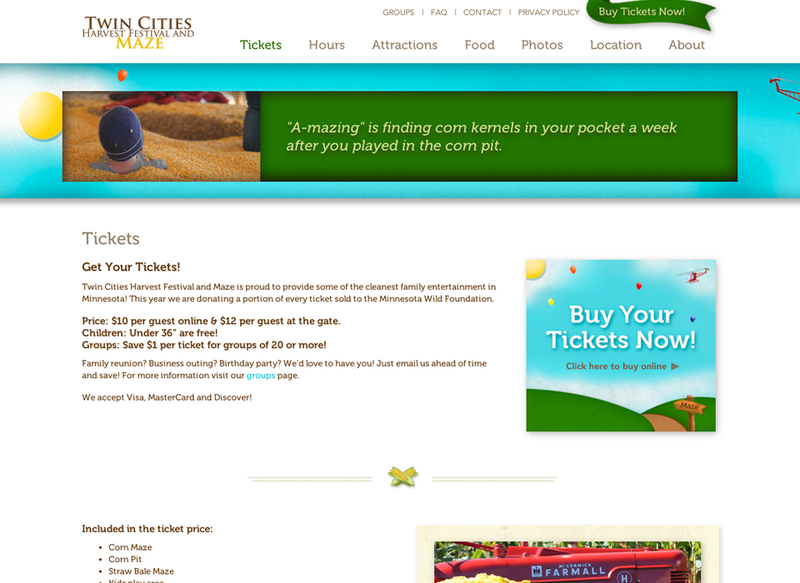 To visit the responsive campaign website, go to twincitiesmaze.com.